A Class A fire-breather, the Assassin is an 18watt (although the measured output is 26watts) high gain, single channel, gigable and affordable amp suitable for nearly every situation. And now, a 1x12 combo! Get all the amazing Assassin tones in the portability and convenience of a nicely sized combo. Covered in black, and featuring a Celestion V-Type 70 watt speaker, the Assassin is a quality, hand-built amplifier producing nothing short of ferocious gain and it is lightweight enough to save your back while still having the power to be gigable even in combination with 2 4x12’s. Each Assassin is hand wired on a hand-built fiberglass eyelet board using components selected for reliability and superior sonic character. 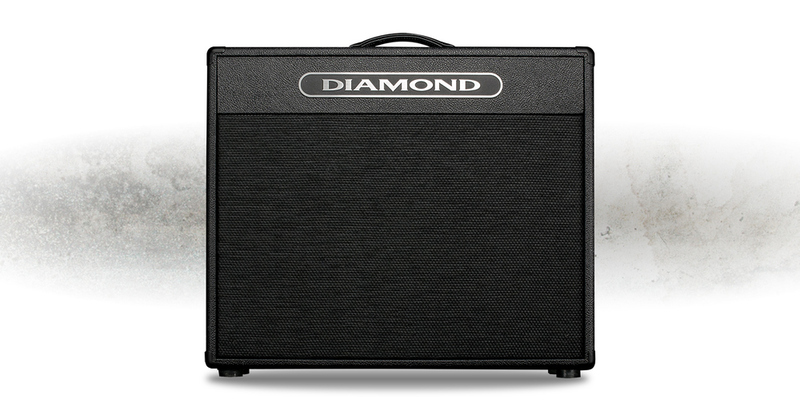 With its open back cabinet configuration, you now have an entire new range of tones too! Want some lower gain settings and some more clean head room than the sister head, but still have the ferocious gain on tap? The Assassin Combo is your answer. . . The Assassin features a full set of tone controls (Volume, Gain, Bass, Middle, Treble and Presence) along with a Gain Mode switch allowing for traditional or diode-clipping gain style. The Assassin uses three 12AX7, two EL84 power tubes, and a solid state rectifier. This amp is hand wired, Class A at it’s finest. You simply won't believe it when you hear it.